The flowers of the Lemon Balm (and all members of the mint family) plant are slightly sweet and can be eaten raw, in salads, or used in teas. The leaves have a lemon flavor and can be used raw or dried in various dishes such as fish, stuffings, and teas. 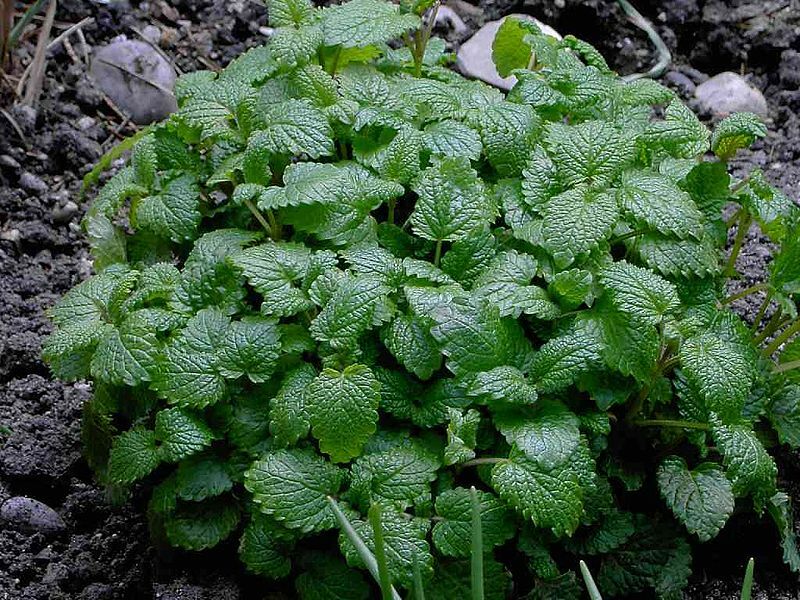 Lemon Balm is an old remedy for feverish colds. Cows that eat bee balm are said to have an increased flow of milk. Recent studies have shown Melissa essential oil to be effective as a topical treatment against cold sores! 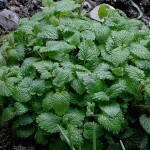 Plant melissa in the spring about 1/2 inch into any type of soil. Bee balm is not particular about where it grows. However, it can get up to 3 feet high as a bush within several months, so plan on the space and leave about 10 inches between plants. Roots will need to be managed, much like mint. In aquaponics, this can cause drains to clog and can be fixed by planting a bottomless bucket around the roots so they grow down instead of out. Plant away from drains and replant each year so the roots do not take over. Pinch off the flowers for more vigorous leaf growth. If you want to prevent flowering completely, cut long stems and flowers will not appear. Bee balm will attract honeybees, so are good companion plants for any flowering or fruiting plant that needs assistance with pollination. Bee balm grows wild and fierce…. just plant it somewhere and make sure it doesn’t overtake your grow area. The ideal soil temperatures are between 50F and 77F. To get the most of the essential oils from any herb, harvest them after the flower buds appear, but before they open. Early morning is the best time to pick herbs, after morning dew is gone, but before the plants are scorched by midday heat. The fresh leaves have more flavor then dried leaves. For long term storage, you do not need to dip the leaves in boiling water. You can either freeze the leaves as they are or mix with oil as a paste, and then freeze. If you have an arid climate, you can bunch the stems with leaves on them and hang them upside to dry. If you do not have an arid climate, a dehydrator may be required. Next post: Which Crop is Most Valuable?